The new innovative online estate and divorce division tool launching this year from www.DivvyMaster.com has been granted a software patent by the US Patent Office. Makers of DivvyMaster.com are pleased to share the exciting patent news, present their revolutionary product, and share how the software evolved from personal experience. DivvyMaster founder David MacMahan lost his father too early in life, and remembered everyone wanting just a few things to remember him by, and the challenge of trying to make that seem fair to all, when all lived so far away. Sentimental value was more important than any monetary value in that particular case. That memory, along with personal experience with divorce divisions helped David come up with the concept of “Emotional Values” and “Monetary Values” being used together for the fairest divisions. Both EV and MV are often important to someone feeling fairly treated in a division. Reducing the time and challenging logistics involved in a typical division seemed like a worthy pursuit, and making a blind and inherently fair system reduces the potential emotional pain. MacMahan learned that sometimes it is fighting over “emotionally charged items” or sentimental items of a loved one, that creates a situation of resentment that can affect relationships for years. At the same time, if there is any monetary value involved, all parties usually, reasonably want their fair share. Sometimes anger over “that one item” not feeling fair can be the “last straw”, affecting divorcing parents’ relationship going forward, and more importantly, their children’s peace of mind for years. “Dividing things, not families”, became the goal. Author Julie Hall, known as “The Estate Lady” writes in her book, The Boomer Burden: Dealing With Your Parents Lifetime Accumulation of Stuff, that grief can bring out the best or the worst in us, and your response to the first disputed object will set the tone for the rest of the process. MacMahan thinks that having the Emotional Values dealt with early online, without each of the heirs and all those built up emotions in one another’s faces, will help mitigate those disputes. David speaks in more detail about estate divisions in this informative video-click here to view. In early 2010 David committed himself to exploring ideas to help reduce the time and expense around these events, at the very least. The loftier goal became to come up with a divorce division tool to reduce the emotional pain and resentment so often created in the process. In the process of exploring how this could work, he realized that a web- based application had so many advantages. The “accessed from anywhere” could reduce travel expense and face to face negotiations which can sometimes cause the problem, more than what is being divided. Almost gone are the families all living in one town meeting at Grandma’s to divide things. 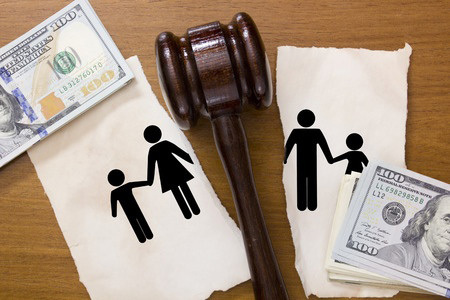 Heirs now live in different parts of the country or world, or even divorcing parents can be challenged to be in the same room. The web made it possible for www.DivvyMaster.com to be a blind, impartial system, equally fair and accessible to all parties.